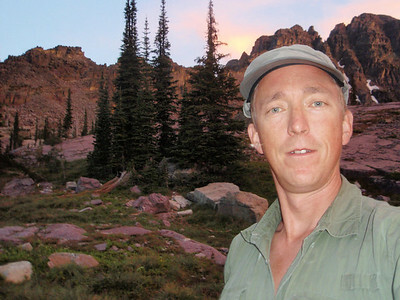 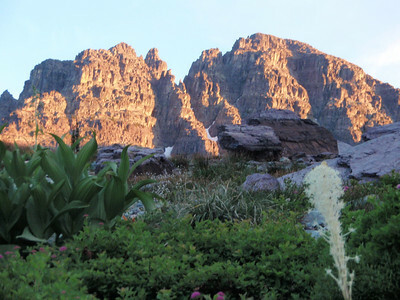 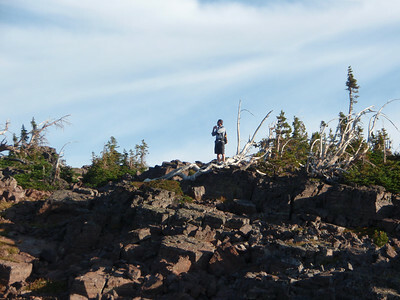 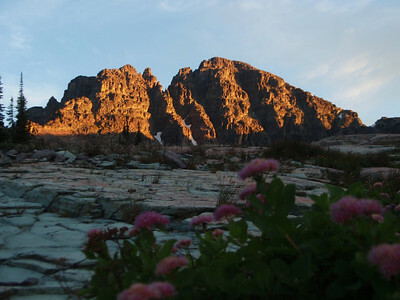 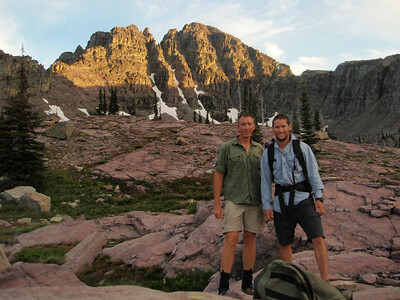 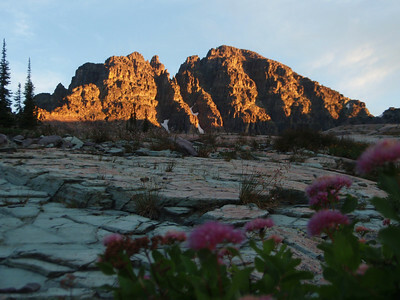 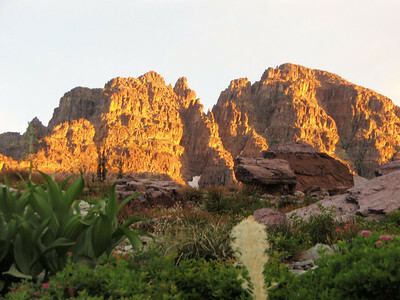 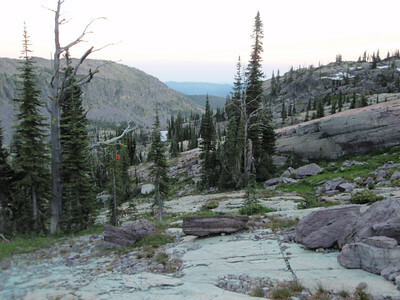 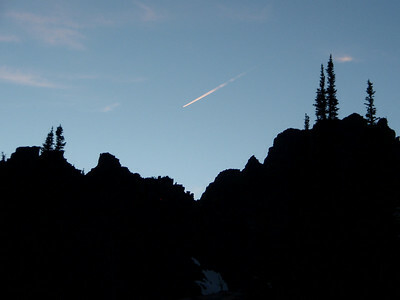 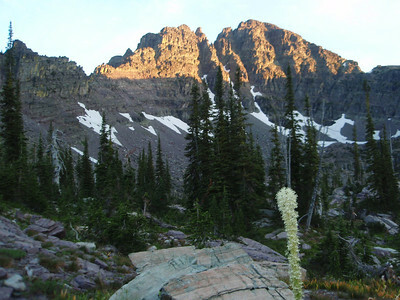 This was an overnight trip into the Mission Mountains, to hike up Grey Wolf Peak. 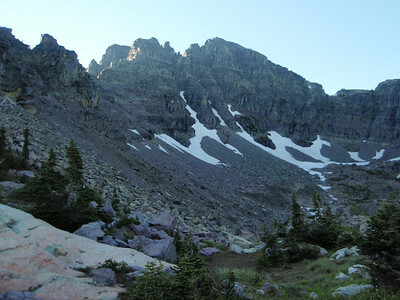 The trail is less than desirable, no trail maintenance (EVER) and steep made this a tough hike, but when you finally get to the high alpine area, it is amazing. 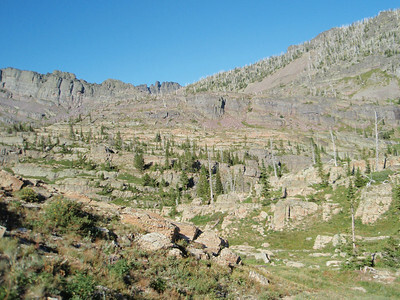 Looking south back towards Arlee, MT. 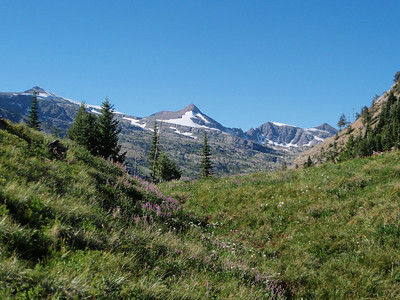 Looking north towards Grey Wolf Peak. 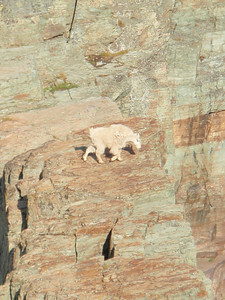 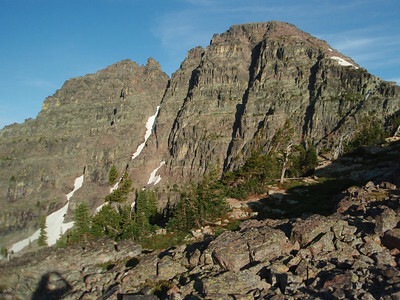 Our first glimps of Grey Wolf Peak. 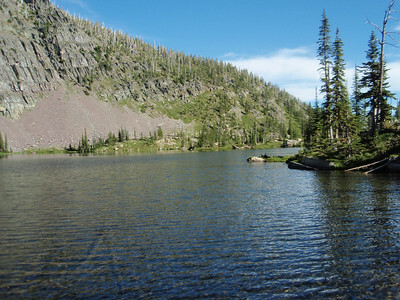 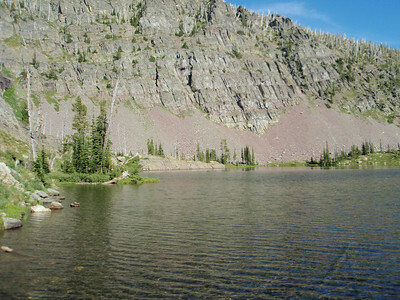 Camp at Scenic Lake just below Grey Wolf Peak. 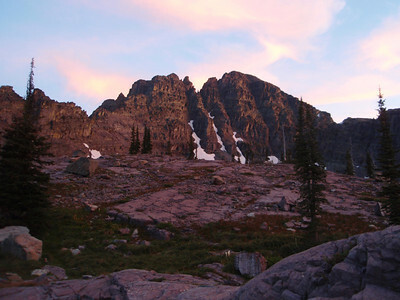 Grey Wolf Peak in the morning while preparing for the ascent. 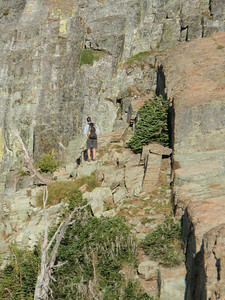 The notch you see just above Travis head is where the photo's later on were taken of him climbing the wall. 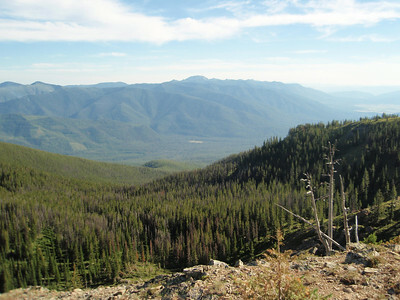 On the way up to Grey Wolf. 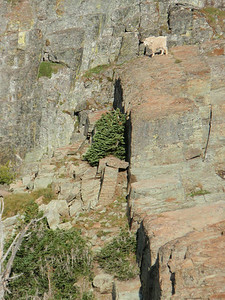 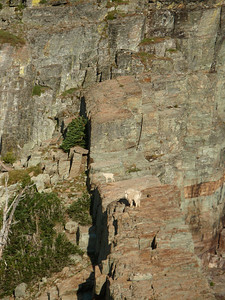 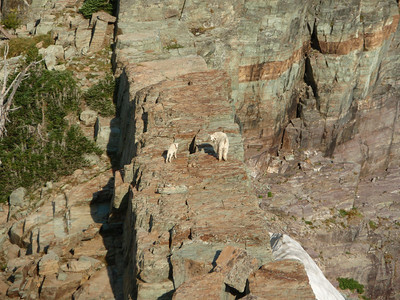 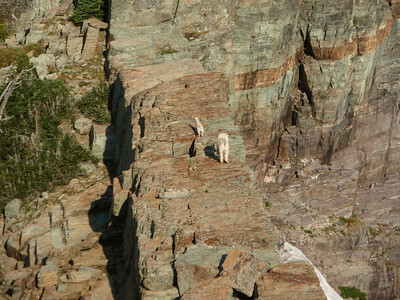 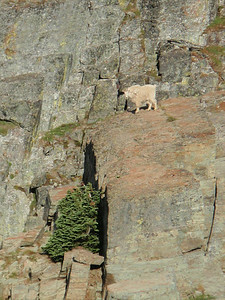 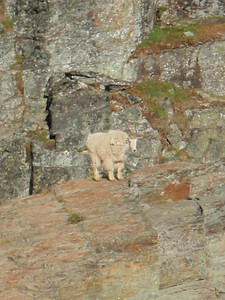 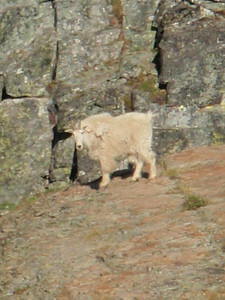 Looking east to the notch, we had a couple of locals to welcom us to the mountain. 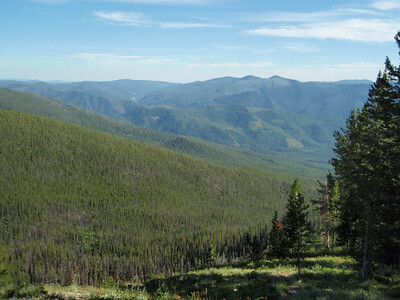 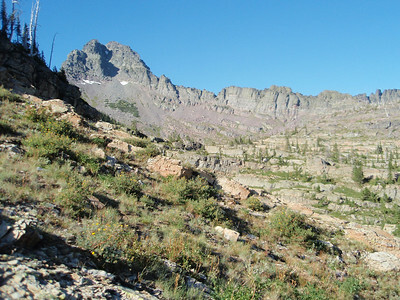 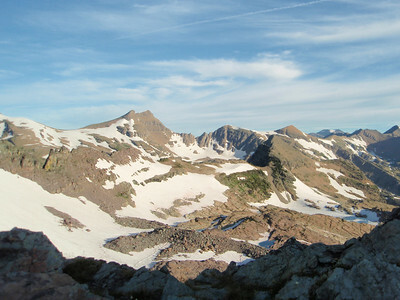 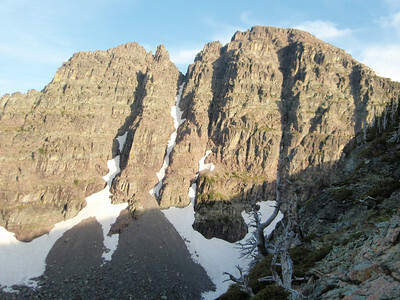 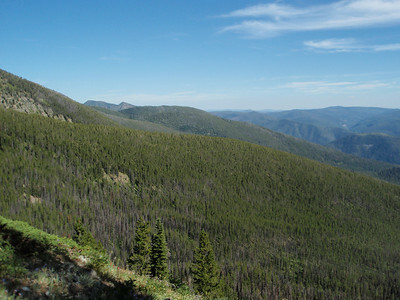 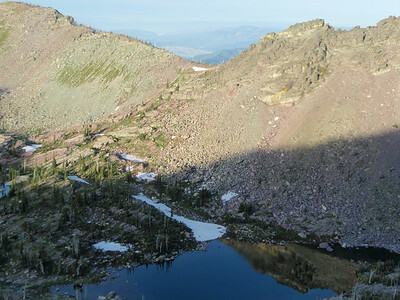 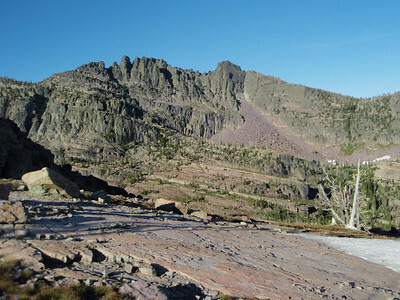 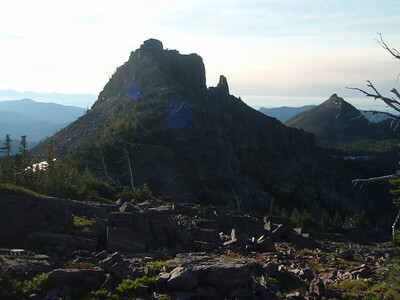 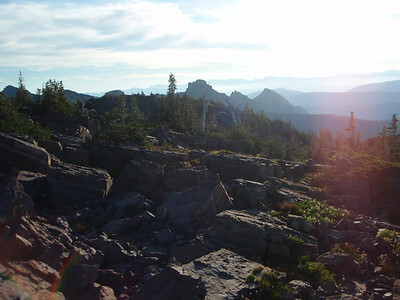 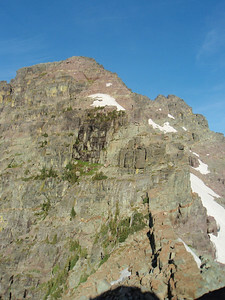 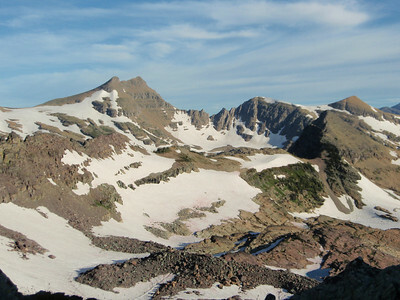 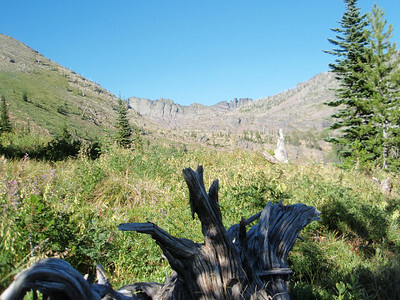 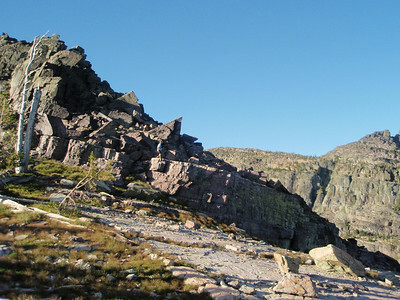 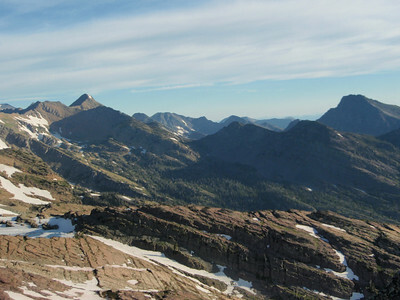 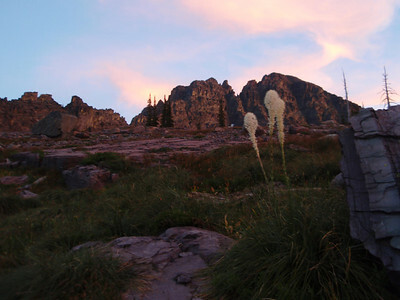 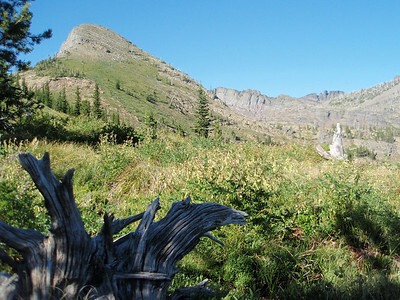 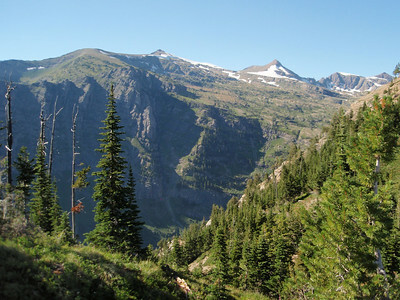 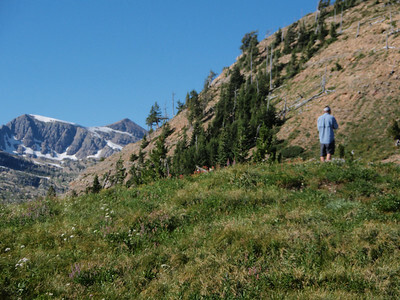 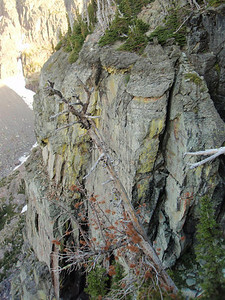 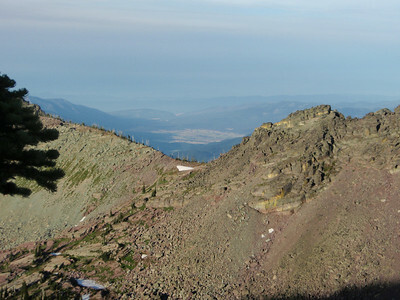 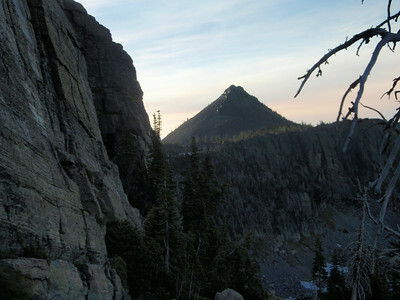 Lowary Peak on the Left and Three Summit Peak on the Right.